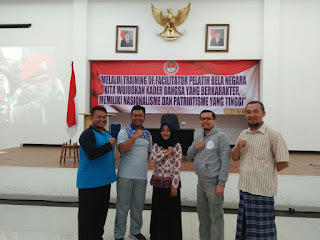 Sukabumi, ummi.ac.id - 4 students of Elementary School Teacher Education Department of UMMI Participated in Training of Facilitator of Nation Defense Trainer which held by The Ministries Of Research, Technology, And Higher Education Republic Of Indonesia in cooperation with The Ministry of Defence of The Republic of Indonesia. 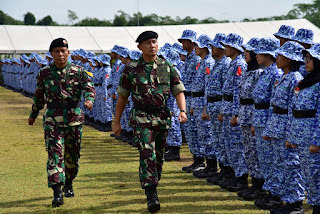 The event was held at Bela Negara training centre of Ministry of Defence, in Bogor April 2 - 9 2018. The students are Dede Risma Ginanjar, Aidah, Nurbadrudin dan Abdul Salim Wahid.